Yesterday, I posted a picture of some black beans that I had cooked in my crock pot. I didn’t say much about them because I’ve talked about them before and I’ve heard I talk to much about beans sometimes (That’s for YOU, Lillian…) I can’t get over how many comments I got on BCDC and on Facebook regarding making the beans in the crock pot and asking how to do it. So whether you love them or hate them…here come the beans! First, if you buy your beans in a bag in the grocery store, most bagged beans now have directions for crock pot cooking. I’m not sure I agree with them, but that would give you a starting point. This method has worked for every type of bean I’ve tried. Soak the beans over night in water about 4 or 5 inches above the beans. 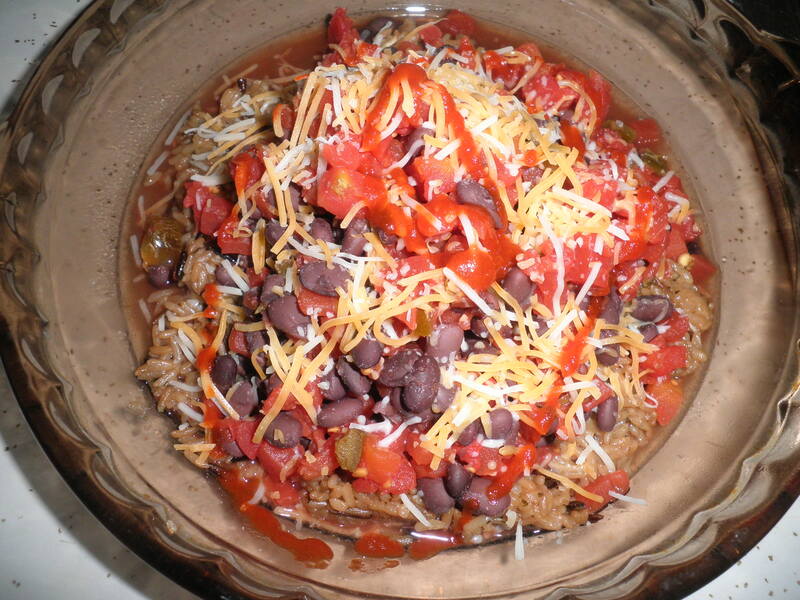 It took me a long time to figure out that if I soak the beans IN the crock pot, I don’t have to wash another pot! (Yes, I am a college graduate!) 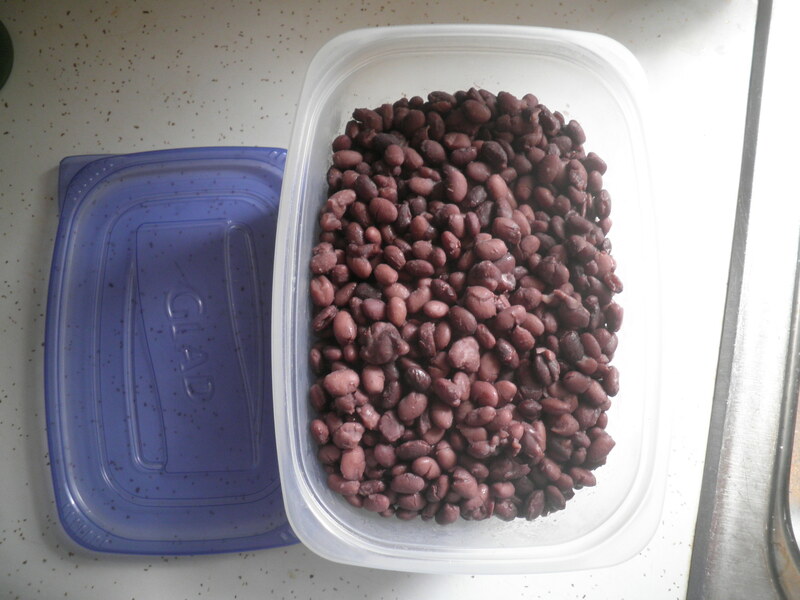 In the morning when you’re ready to start cooking, drain and rinse the beans, put them back in the crock pot. Cover the beans with fresh water to about 2 to 3 inches above the beans. I usually do about 3 inches. Put on your lid and try not to be lured into opening it again. I generally cook mine on High. This is were it can become just a little tricky, but after you’ve done it a few times you’ll figure out what works best for you. Every crock pot seems to cook a little differently (don’t know why) so your first attempts should probably be done while you’re around to check on them. I cooked my black beans on Wednesday for about 4 and 1/2 hours. Sometimes it takes 5 hours. I don’t know if crock pots are subject to humidity or atmospheric pressures. It just depends. If you want to be able to do it on Low with more time away (once you’ve found your bean groove) then cook them on Low. I know I said resist the temptation to look, but at about 4 hours you should probably pull out a bean or two and test them. Are they cooked to the softness you like? Then you’re done. Be VERY careful! You need to drain them, but they are VERY HOT!! I have big oven mitts I use and you have to keep your face away or you Will get a bean facial. I suggest that after draining you put them in a container that has a fairly large surface area to allow for additional cooling. It seems if I put them in the fridge before they are fairly cool, they tend to get mushy, so let them cool. In my experience, it also seems that different beans will need different cooking times. In general, it’s probably good to test whatever bean you’re doing at about 4 hours. That’s about all there is. If anything doesn’t sound clear, feel free to comment and I’ll answer whatever I can. I just know that they taste SO much than the canned. Canned are better than no beans at all, but these are so much cheaper and tastier. I recently heard that you can freeze them (Duh, never thought of that) and I don’t have to eat all of them at once before they can get funky. So case in point. I had been at my sister Ele’s giving a Reiki treatment last night. I got home at about 8:30 and it was Urgent that I have something ready to eat ASAP because the Finale of Project Runway All Stars was coming on at 9pm! So may I introduce you to Flash Dinner! 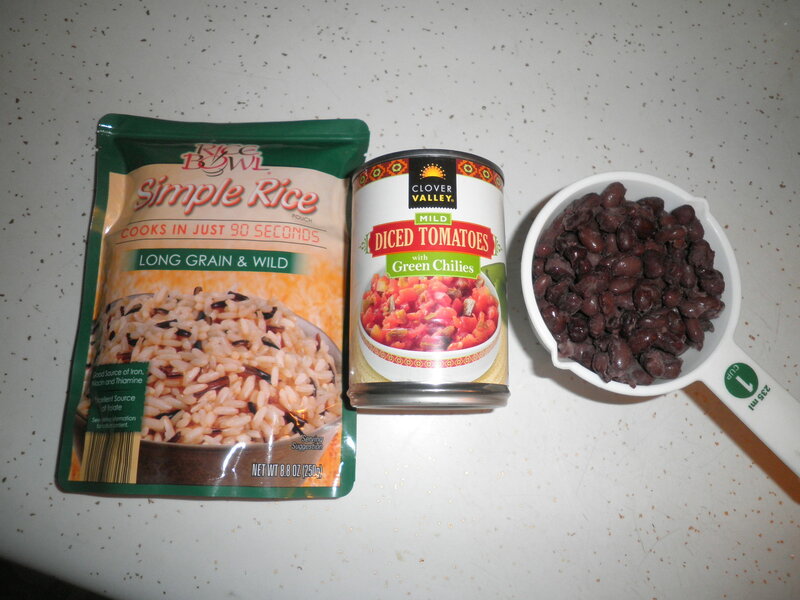 Bag o’ Rice from Aldi…diced tomatoes and green chilies from Dollar General and 1 cup of home crocked black beans. 90 seconds for the rice in the micro. Mixed the tomatoes and the beans in a large glass measuring cup-2 minutes in the micro. Some shredded cheese sprinkled (perhaps a bit too liberally) on top and several spritzes of sriracha sauce. The rice had a nice smoky flavor, not sure why and it was pleasantly spicy from the green chiles and the sriracha. Got in the door at 8:30…in my jammies and eating this delicious dish by 8:45. I’m NOT kidding. So that’s the story of beans in the crock pot. I’m sure Lillian has walked away from the computer by now, but I had to do it! This is such a wonderful tool and I love sharing it with all of you. Try it, it’s cheap, it’s nutritious, it’s healthy and protein packed. That’s all I have to say about that! Author’s Note: Relative to nothing…I just noticed yesterday at CVS that Beano tablets now look like kidney beans…That’s Hysterical! This entry was posted in Uncategorized and tagged beans. Bookmark the permalink. Wow! My sister, awesome reiki practioner and speed chef. Who knew!!! I did, she does everything to perfection! they do not! Is it my fault that I have a perfect sister? Very thorough Fran, good job. I just realized I didn’t let my beans cool all the way before I bagged and froze them, hope they aren’t mushy. Is the reason you drain the first water is so the beans are less gassy? I haven’t been doing that either. Oops. Marie, I think that’s the reason but I’m not totally sure. That’s how I was taught to do them. I know there was a reason and that’s as good a reason as any! Thanks! Hi I followed the trail of (broken) cookie crumbs over from Biz’s. Thanks for a great how-to on the beans. I am (mostly)vegan so I eat a lot of different varieties of beans and have always been stumped by the bags. Most don’t even have directions except for soup! Hi Mary Be!! That’s so funny, followed the cookie crumbs! Beans are wonderful and the crock pot is my saviour, it makes it so easy to save money, eat healthy and get your protein! So glad you stopped by, please visit anytime! This is Lillian (not Ele) and yes I hate beans of all kinds. Not crazy about spicy foods so I probably wouldn’t like those diced tomatoes with chilis either. Well, its a good thing I eat meat! Lil, you could comment on your own you know. 😉 I had to mention you in such a bean-centric post!! Kat, I’m glad the explanation helped! I think it’s a wonderful way to prepare them and it’s so economical! Let me know how it goes for you!